TEXAS, USA, Nov 2 2018 (IPS) - Cholera outbreaks across history regularly killed a hundred thousand or more. It isn’t well known today because it was essentially eliminated in the Western world. In the developing world, people drinking water from rivers where others bathe and defecate contribute to its spread. That is why the World Health Organization (WHO) records around 150,000 cholera cases per year. Cholera remains common in places with poor sanitation systems or where they do not yet exist. That is why cholera is considered epidemic in places like Africa, Latin America and South Asia. Tropical climates that don’t get cold enough to kill the bacteria, wet soil that breeds it, and unsanitary groundwater that mixes with drinking water can cause one patient’s effluent to spread to an entire community. The literal environment prevents the bacteria from being truly eradicated, resulting in it being found in overcrowded slums. Storms and flooding can interfere with local water supplies, bringing in contaminated water that people then drink. The cholera outbreak in Haiti has shown that cholera can come roaring back after other natural disasters that disrupt clean water delivery. Globalism contributes to cholera’s spread, as well. For example, the Haiti outbreak was likely precipitated by U.N. peacekeepers that picked up cholera in Nepal, arrived in Haiti and then infected the local water supply through poor hygiene. The outbreak killed over ten thousand and infected hundreds of thousands more. Now a country already struggling to deal with critically damaged infrastructure has to manage cholera, too. This is a tragic blow, since Haiti worked for years to eradicate the disease. The infection and death rates were made worse by the under-developed medical system that the disaster rendered inoperable. In nations with underdeveloped medical systems, they can’t keep up with the load of the epidemic, spreading faster and killing many more than it would in a better equipped region. Globalization can take cholera to countries that have lived without it so long that doctors don’t know what they’re dealing with. This can lead to the disease spreading beyond what can easily be contained. Within a few hours of symptoms appearing, patients can lose so much fluid that they’re rendered bedridden. This dramatically increases the risk of transmission to others. These few hours are also the ideal time to give someone a mix of fluids and antibiotics to prevent them from becoming dangerously dehydrated. If a patient is misdiagnosed, they could die of dehydration within two or three days. In tropical countries lacking fully developed water and sanitation infrastructure, the soil and untreated groundwater hosts cholera bacteria that can contaminate public water supplies. The outbreak is made worse by patients spreading it through bodily fluids to those who may have safe drinking water. And because patients can readily travel, the disease can spread rapidly through new vectors. The ebola outbreak in Dallas, Texas was caused by a man, who knew he was exposed, booking a flight to Texas to visit family he hadn’t seen in more than a decade. He arrived knowing he might carry the disease and with the hope he’d be treated in the more advanced American hospitals. This is the downside of globalization and has long been the basis of strong immigration controls – to make certain that immigrants didn’t bring diseases with them. Tuberculosis was routinely screened for in the 1800s and 1900s, but buses, trains and aircraft make it possible for cholera to go global despite its rapidity. Overcrowded cities have always provided a place for cholera to claim many victims. One major difference today is scale. A cholera epidemic in London two centuries ago would claim tens of thousands in a city of perhaps a million. Third world cities that are home to five to fifteen million, many of whom live in slums, could see a million or more deaths in a bad cholera epidemic. And the constant flow of people from the countryside to the city in the developing world creates a constant risk of an epidemic. 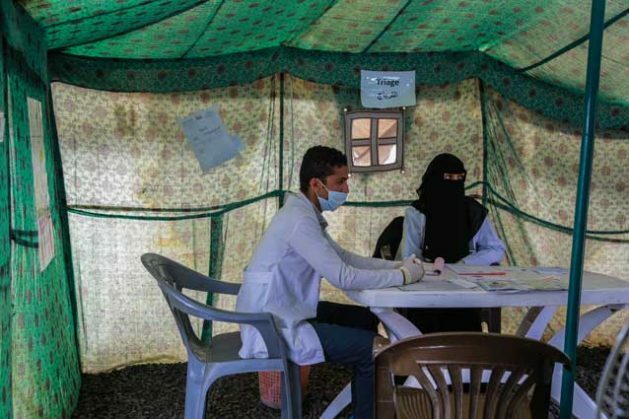 Thanks to our understanding of disease transmission, sanitation and treatment, cholera (https://connectforwater.org/cholera-is-becoming-a-serious-problem-heres-why/) outbreaks are rarely as catastrophic as the past. But we need to recognize that modern medicine is still in a war with this ancient foe that will continue to threaten humanity for the foreseeable future.